Used Alfa Romeo GT Review - 2004-2011 Servicing, MPG, Insurance | What Car? What used Alfa Romeo GT coupe will I get for my budget? 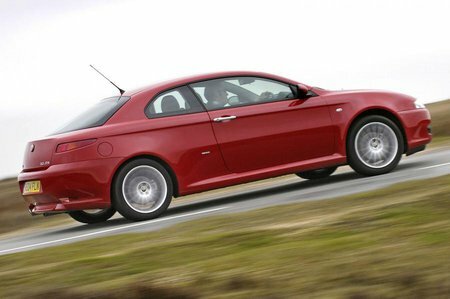 How much does it cost to run a Alfa Romeo GT coupe? Alfa Romeo dealers are not as expensive for servicing as many of their rivals, but the service can be patchy. The best bet is to find a friendly dealer and stick with them, or seek out one of the many independent Alfa specialists who are fanatical about the company and its cars. The JTD diesel engine easily returns more than 40mpg in normal driving, so is easiest on the wallet. The 2.0 JTS is also decently frugal, but the 3.2 V6 pays for its performance at the fuel pumps, as well as having markedly more expensive routine maintenance costs. Another plus point for the diesel model is its lower insurance cost compared to the petrol models. All GTs wear their front tyres quite quickly, so you can expect to have buy a new pair once a year or around every 10,000 miles.